Looking for some tips from other Russian player. How to operate your IFV/APC safely , transport and disembark , and provide fire support? For the fire support part I can think about one. I don't play Russian side often, but speaking from the blue side using Javs a lot that is a tight one. A Jav takes 15 seconds to launch once it starts aiming. If you leave cover, move to a spot exposed and wait 15 seconds you'll likely not make it back. Doing a shorter pause likely means you'll have to just area fire blind as you'll not have much time to spot anything. I think better is to look for keyhole locations to fire from where the odds of a Jav team spotting you are going to be far less. Firing from wooded areas may help. I have had more than a few Javs get caught that way. For fire support, spend the time to look for keyhole positions , or set back inside woods with a narrow exposure. Also consider defilade positions. Always have them behind a screen of infantry when providing fire support, but still ensuring their exposure is very restricted/limited. Firing from wooded areas may help. I have had more than a few Javs get caught that way. 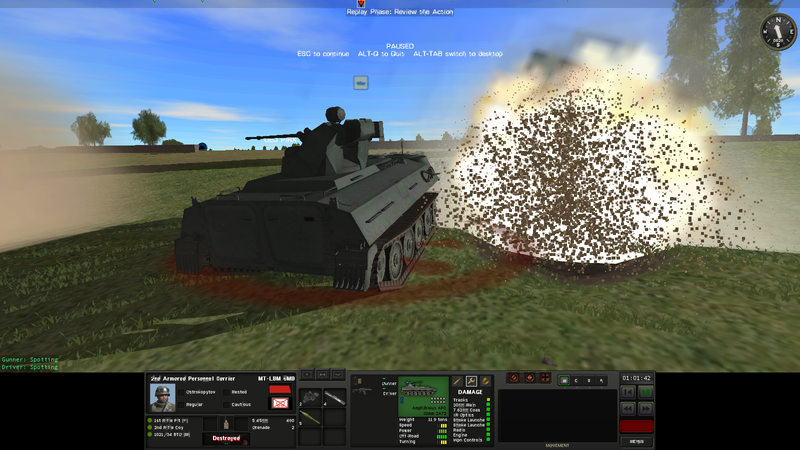 Somewhat along the same lines, I fired a precision mission at an APC/IFV that was hiding under some trees, and the shell was detonated by a tree. After that I fired all three tubes at it on the theory that one way or another that would have a chance to blast through the cover and nail the b******d. And it worked! Yep, all good advice. Stay under trees when you can. Area fire and withdraw. Even then use key whole positions. Honestly the Russian BMPs and BTRs have such poor viability that I typically use them in an area fire roll all the time. If they spot an actual target on their own fine but my orders are for fire support directed by the Platoon leader pretty much all the time. As everyone said. Keyhole them and use them way further back than you.d use blue tanks. On the attack you just have to suffer losses basically. Thats when its good to sometimes lead with crappier tanks - or bring bmps up first and force the javelin ammo to get used on them. A US player can be forced into expending those missiles. Also personally for me especially in BS it seems if a MAGA supporter in America farts 2 T90s blow up. So as Redfor I *always* disembark infantry unless its such a unique situation its not worth discussing; and I load as much stuff as human possible onto the squads so its not lost when the vehicles explode. You should try to give all squads on either side IME another 1k of 5.56 or 5.45; and another 500 or 1k of 7.62. I also distribute RPG ammo ajd RPGs. For Blufor this is very important as well tbh - you REALLY should always have a good grasp on whats rare or valuable or runs out quick. So for example theres RPG29s in a vehicle? Those are awesome thats a priority to get out. A javelin or javelin missiles? Too valuable to risk. 5.56 ammo? Important but not world ending. Its similar to the German 7.92 Kurz ammo foe the Stg44. The squads dont come with a lot and its rare on vehicles. So when you get one with it you'd better snap it up - or in WW2 games I think its madness with half tracks to not get the extra schreck or zook or fausts out. Gamewise that makes sense. But we discussed elsewhere what is a realistic load out (if one cares about realism of course) and it seemed that while 210 rounds is normal loadout, troops would load up maybe 400 rounds total/man plus extra if there is a MG in the squad plus a couple ATR's. More than that load should affect mobility a lot more than what we experience in the game. Absolutely and if it really affected my mobility I wouldnt do it. I take it asa trade ofc in my favor for the countless things im disadvantaged by because of the inherent game system.its also not ridiculously excessive they may have a **** ton of ammo but in any case i have anyone with a squad with 4k rnds and missiles i guarantee you theyll be dead or have A LOT of that ammo off within carrying it 350m which isnt that crazy. On a regular patrol loadout? Yes. In scenarios like that or somethibg.. But if your qb or scenario has you understanding youre about to attack I dont think its unusual (and Ive read many accts of troops festooning themselves with belts of mg ammo, whether mg42 or m60, or sticking grenades all over themselves , etc. This would never be doable long distances but if youre planning to use this stuff almost for sure soon and in the next kilometer at most its not really that excessive. lol - my sense is that it's the AI that needs the help. It can't resupply for one. In CMSF2 you can purchase BM-21 Grad MLRS. CMBS kind'a got short-changed on artillery rockets. Pesky Javelin teams can't shoot at you if they first die under heavy artillery bombardment! Russian army was known for its artillery back when the Soviet union was at its peak. After playing CM:Afghanistan I joked that the best tactical use for a Russian infantry squad is to move forward and occupy ground over the charred bodies of the already-fallen enemy. You are not going to accomplish much until you can spot and destroy enemy javelin teams. So if I am in any type of attack mode it generally requires sacrificing something to spot them. But the practice for me is. non-mounted infantry moves up first, once in awhile they get lucky and spot a few of them. Normally remove with arty assets if possible, if not. massed firepower moves up into place quickly and area fire til they die, limiting risk with key hole positioning a major plus if possible. As mentioned, losing a few low end units to expose those jav. teams is worth it. before risking any goods assets. (keep in mind playing a smart player, this will not always work.) I know I will restrict my jav teams from firing on lead units, thus hoping my opponent thinks he has found a safe route, thus maybe moving high valued units out thinking it is safe. But vs the AI you never need to worry about that. Yes both US and Russian squads overwhelmongly use their 5.45 or 5.56 quickly and its very important to grab enough not to run out. I guess its also a habit from using Wehrmacht troops where if that Mg42 goes silent the squad is at like 1/4 firepower. I had seeing my LMGs run out of ammo amd because everyone has assault rifles IME its always easier to find egular assault rifle ammo somewhere anywhere where say STG ammo in the WW2 titles and 7.62 is harder to just find.. This said I load my men down with everything I can. Rocket launchers UGL roads everything I can. Everyone doesnt play how I do either. There are plenty of 7.62x54R in the 7 men Rifle squad. Ukraine's 7 men squad has 700rnd (1 PKM), Russian has 970rnd (1 PKP + 1 SVD). I usually do the same thing here. But recently I am rethinking this . In a PBEM game and when I expect to see enemy armor, I will constantly change my exposed infantry team's position every 30s or 45s. Light load will be helpful to my game play style. One thing puzzle me is, why the Russian/Ukraine's grenadier could not equips RPG-22/26? It looks like those who equips with GP-25 or GP-30 are screwed. They cannot equip with RPG, cannot pickup their fallen comrade's LMG. They only have 10 rounds UGL HE, and burning the ammo fast. BTR, MLTB and BMP don't carry 40mm VOG-25 HE. I am in a PBEM game , scenario "Galloping Horse Downfall". This is what happened last turn. Glad both two crewman survived , they can still charge enemy with AKS-74U. A Javelin team spotted 20 min before this happening, that location is marked with yellow arrow in the first pic. I dropped probably 30 rounds 120mm mortar shells air burst in that area. The blue arrow marks where this Javelin comes from. Either my opponent changed his position after he detected spotting rounds or he has another Javelin team there. Anyway, it is the time for another round of bombardment. To make pesky Javelins go away, first pulverise the likely area of operations with airburst Grad rounds (or even better a TOS-1A Buratino).....Hmmmm, hang on a minute! People tend to think that modern warfare requires a whole new set of tactics in order to be successful. In WW2 era one could be fairly confident that the first one or two shots would miss and even then there was a reasonable chance of survival. The fact that modern warfare has a "one-shot kills" environment demands that one has to adjust tactics. Good example (at least in the game). One has to move a lot faster now as well as be stealthier due to better enemy optics. I think is worth mentioning, using infantry as recon is very useful when facing javelins﻿. In the game at least, (actually in all CM titles regardless of era) have found that one nearly always benefits from pushing inf ahead as spotters and holding back armor until you pretty much know/can guess where most of the enemy assets are - and hitting them with arty. Only then can armor be unleashed with confidence. The main takeaway of @IICptMillerII post, for me, was the importance of effective fire plans in modern titles. He also reminded us that tactics haven't changed that much. You seem to concur? 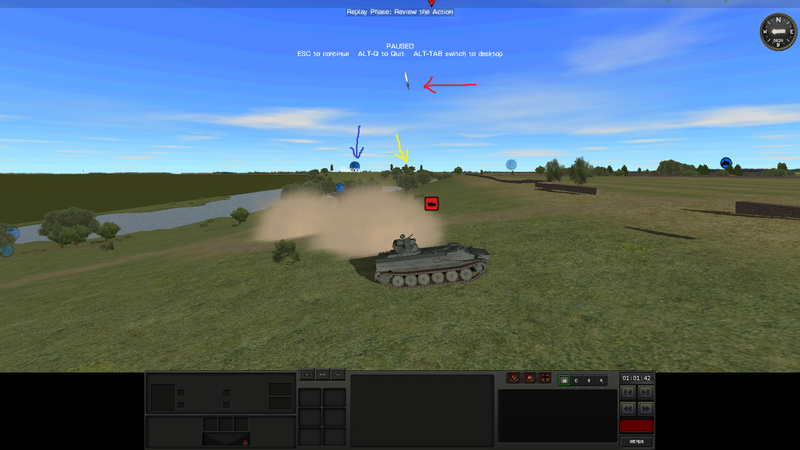 In the game it nearly always seems like a bad idea to move tanks ahead of inf no matter what. I qualified that... But thinking about it, my experience is that in the game it is ALWAYS a bad idea. However, am not so sure that is true in RL as one may have much longer range LOS in RL. In the game nearly all our battles are essentially short range knife fights where you know for sure that enemy inf is lurking a couple hundred meters away (at most). Scouting before you move is something you think doesn't occur in real life? I agree you on most of the part, but disagree with some part. People tend to think that modern warfare requires a whole new set of tactics in order to be successful. This generally isn't the case. When BMP-1 get into Soviets armed force service, it was designed to follow tank formation closely. However after Yom Kippur war Soviets realized their BMP-1 are very brittle on the battlefield. So they changed their doctrine. The BMP companies must keep distance with tanks companies , preferred distance is 500m-1000m. So Tank companies lead the way, BMP companies are in "on call" position, follow behind and ready to provide support. Glad the cold war didn't turn hot. And cold war ended before Javelin get into service. So we don't know what Soviets will do to adapt to this new threat (maybe their solution is very simple: use tactical nukes and chemicals). One thing is clear, if you try to reenact this Soviet doctrine in CMBS, you will get a lot of burning T-90s. Like you said , sending out infantry as screen is a solution, but this will cost speed, it is not fit into Soviet doctrine. For some of the NATO screen force at the border, forcing Warsaw Pact change into an assault formation can be considered as a victory, it will disrupt Soviets schedule and slow down the enemy. So we don't know what Soviets will do to adapt to this new threat (maybe their solution is very simple: use tactical nukes and chemicals). You mean the Russians right? and escalating to tactical nukes for an anti armor threat you might as well not bother sending your tanks forward and just toss a few nukes as the war is gonna end shortly thereafter.